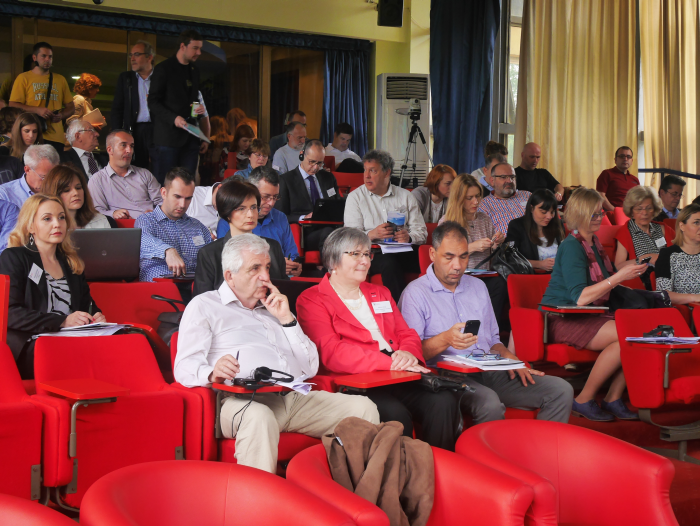 More than 70 media specialists gathered in Novi Sad, Serbia, on 13 June 2016 for the final regional conference of the SEE Media Observatory project. 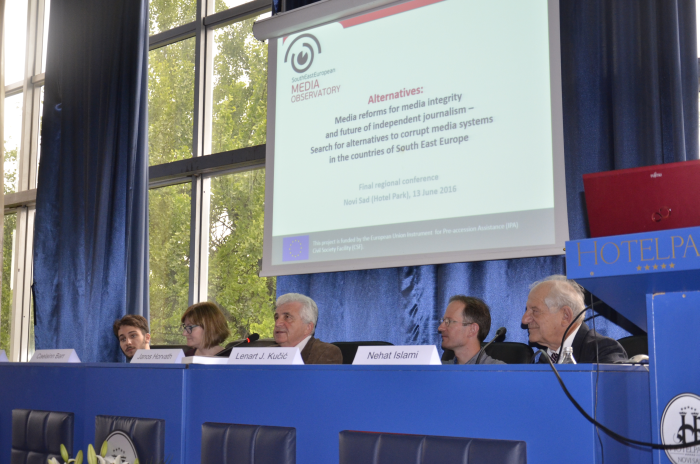 While over the past four years the project team conducted extensive research into issues affecting media integrity, a concept introduced to the region through the project, SEE Media Observatory has also persistently sought to highlight possible ways forward, which is why the final conference focused primarily on “alternatives to corrupt media systems,” as the event’s title made clear. As a stark reminder of the pressures the media in the region face, the event happened to be held against the backdrop of a street protest against arbitrary dismissals of 14 key editors and journalists from the regional broadcaster, Radio Television Vojvodina (RTV), last month. 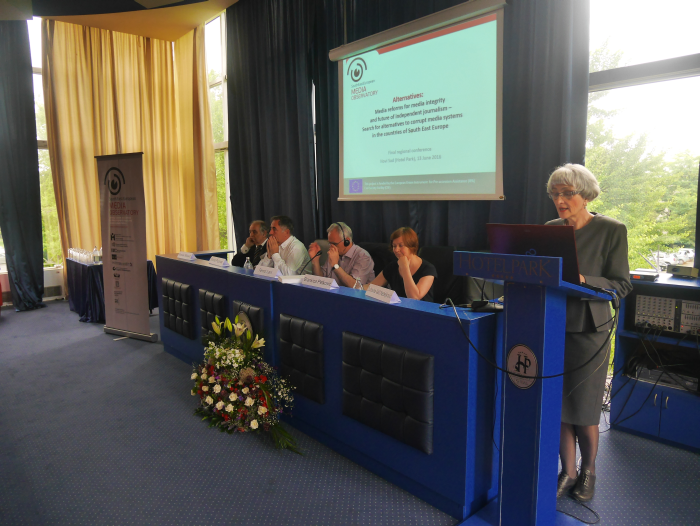 Dubravka Valić Nedeljković of the Novi Sad School of Journalism, the event hosts, pointed out in her opening remarks that the dismissals were politically motivated and showed an alarming lack of independence of public service broadcasters in Serbia. 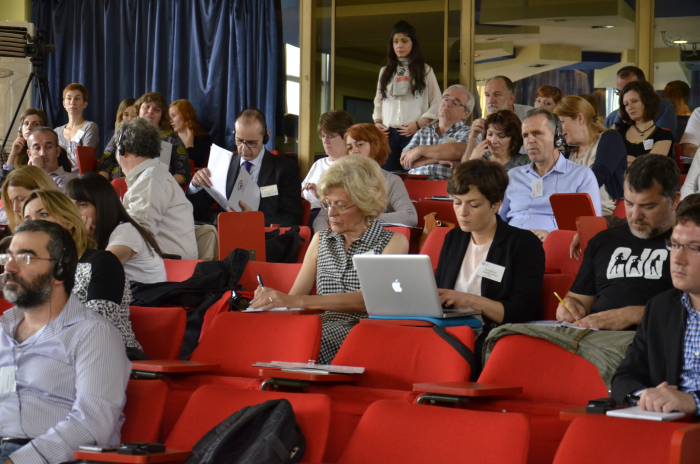 The conference unfolded in six consecutive thematic panels. The first focused on the importance of emancipatory media policies and citizen involvement for the future of independent journalism in the region. In her introductory remarks, Brankica Petković of Ljubljana's Peace Institute, the project leader, pointed out that, along with providing extensive insights into corrupt practices that undermine the integrity of media operations, the project has also highlighted positive examples and stressed that the meeting would also look at “what went well.” The panel was chaired by Remzi Lani, the director of the Albanian Media Institute. In his opinion, analysts of societies that have transitioned from a one party rule to a multiparty democracy have so far focused on the relationship between democracy and the media, whereas the relationship between capitalism and the media is yet to be properly addressed. He pointed out that the countries of South East Europe have over the past 25 years seen governments of different colours change – liberal, illiberal, pro-democratic, autocratic – while the position of the media largely remained the same, “dysfunctional, corrupt, frozen.”“Alternatives exist and we need to talk about them,” said Mr Lani. 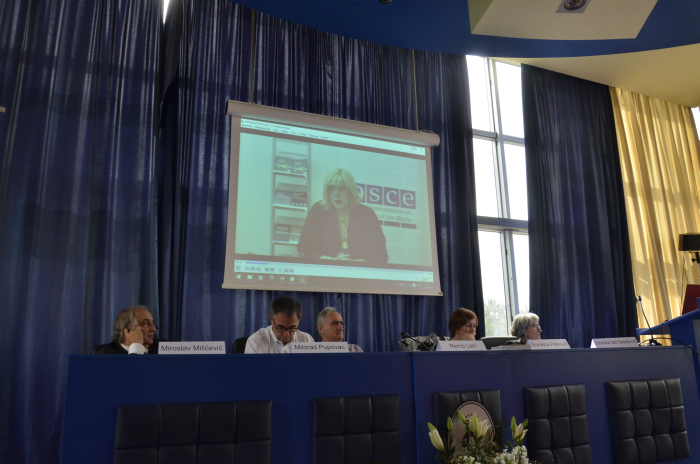 Dunja Mijatović, OSCE Representative on Freedom of the Media, addressed the conference in a video message. 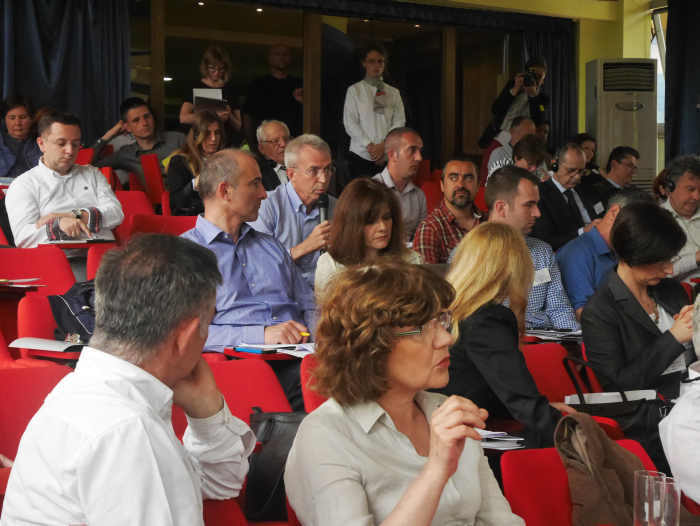 Ms Mijatović said the media freedom situation in the region was gloomy. She recalled that the same problems existed six years ago when she started in her present role, but that back then there was more hope than today that things would change. The space for civil society has persistently shrunk with different crisis affecting the OSCE region. The state of public service broadcasters is of a particular concern – Ms Mijatović highlighted the dismissals at RTV, a series of politically motivated changes at the Croatian public service broadcaster earlier this year and the looming threat over the continued existence of the state level public service broadcaster in Bosnia. 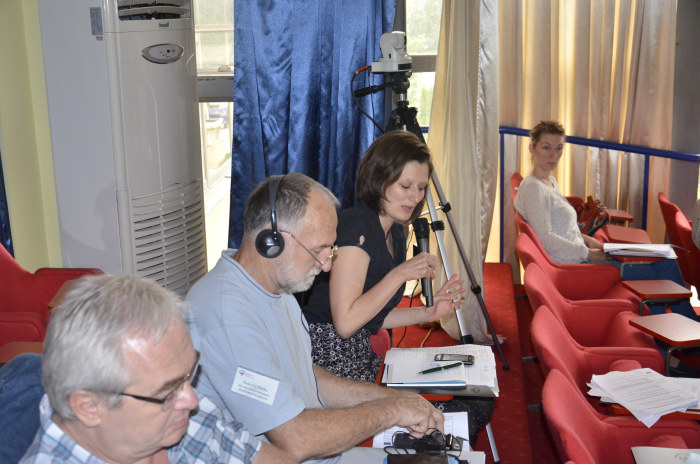 She stressed that many good media laws that are in place in the Balkans are yet to be implemented properly. 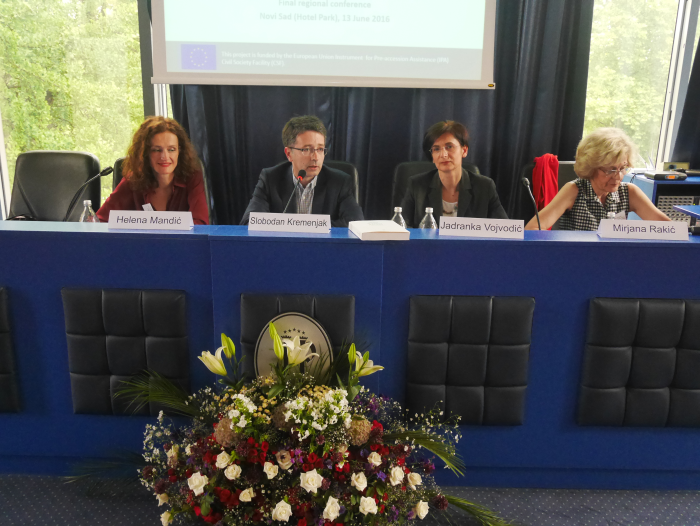 Ms Mijatović also urged more attention to the emerging problem of online abuse of female journalists, a practice that has already had a devastating impact on freedom of expression and human rights in general. Miroslav Milićević, vice-president of Serbia’s Anti-corruption Council, spoke of three major probes into media issues conducted by the body between 2011 and 2015. The council’s mandate is to monitor and research systemic corruption. While the council is a government advisory body, its disturbing findings on media ownership, “state advertising”, clientelist relationships among political and business interest groups, media owners and editors as well as “tabloidization” of the media and public sphere in general have largely been ignored by governments as well as by most media outlets. While few media businesses in Serbia generate significant profits, media ownership is non-transparent in so many key cases and Mr Milićević sees it as the biggest problem that the sector faces. “How can you stop concentration if you don’t know who owns what?” he asked. Novosti, a weekly published by the Serb National Council (SNV) in Croatia, has in recent years become an increasingly influential example of fiercely independent, quality journalism largely funded from public sources. 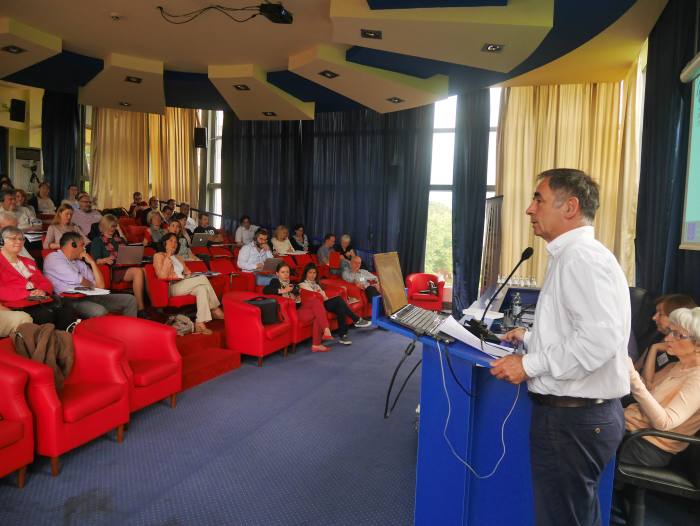 The president of SNV, Milorad Pupovac, opined that public sphere has been devastated by uncontrolled privatisation and nationalism, narrowing spaces for emancipatory policies. With democracy almost emptied of meaning, Mr Pupovac sees the concept of public good as a possible basis from which such policies could be developed. 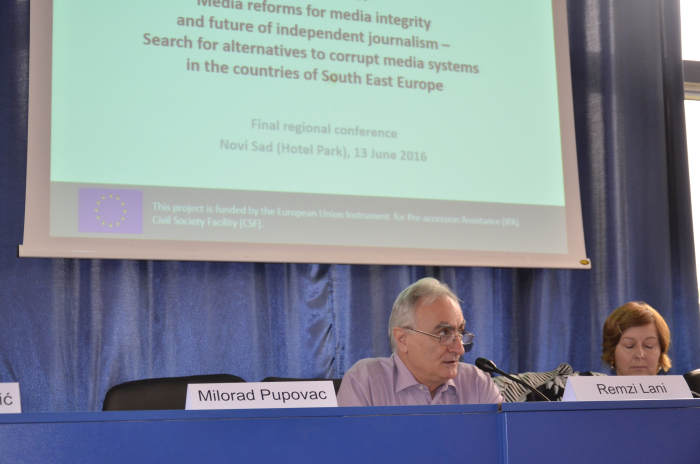 When it comes to the media, in countries such as Croatia alternative outlets are key to expanding media freedoms and they must be funded from public sources, according to Mr Pupovac. The second panel, chaired by the director of Mediacentar Sarajevo, Boro Kontić, sought to highlight the roles of editors and other sector leaders in protecting the integrity of journalism. 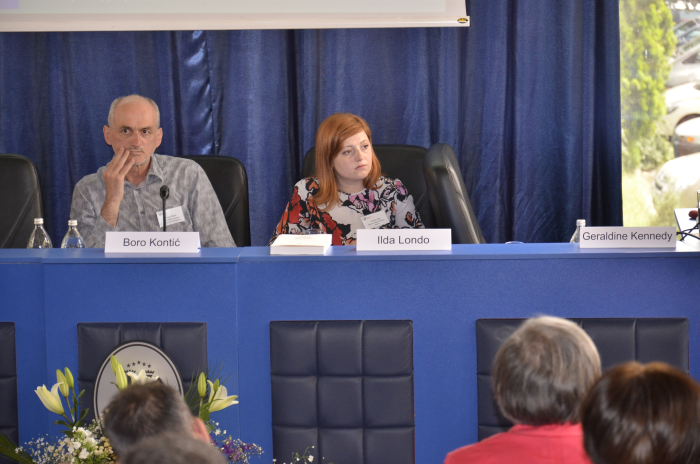 Ilda Londo of the Albanian Media Institute opened the panel with a presentation of a series of 6 reports on the role of editors in the Western Balkans conducted within the SEE Media Observatory project. The reports found that in most cases editors’ roles have diminished in significance in recent years. Editors are often appointed on the basis of their political affiliation and tend to keep relatively low public profiles. Geraldine Kennedy, a former editor in chief of the Irish Times, recalled how editors and reporters fought a long battle for integrity of journalism in a society affected by a sectarian conflict, a battle that has now been by and large won as much of the society in her country accepts the principles of free press. The fight for the right of journalists to protect their sources was particularly important in winning press freedoms. She also stressed the significance of self-regulation in maintaining media integrity. A number of editors from South East Europe then spoke of their experiences of maintaining journalism of high integrity in difficult circumstances. Borjan Jovanovski, editor of novatv.mk in Skopje, recalled how he and his colleagues established an independent online news operation when they were fired from a mainstream broadcaster in a politically motivated purge. The outlet is owned by the journalists who work on it, but like a number of similar operations in the country it is heavily dependent on foreign donations. Mr Jovanovski opined that most private media outlets in Macedonia have been established to service other, more important business and political interests of their owners, rather than to provide news to the public. Sanja Mikleušević Pavić was the editor of news at the Croatian public service broadcaster, HRT, until three months ago when the new government engineered the dismissal of dozens of top editors and managers to replace them with loyalists. In her opinion, the move has already backfired as the government has now collapsed, but the consequences of the political intervention into public broadcaster remain. Agron Bajrami has edited Kosovo’s Koha Ditore daily for the past 11 years. In his opinion, an enlightened owner who does not impose special business or political interests to the editorial team is crucial for the success of an independent media outlet. Koha Ditore was established by one of Kosovo's most prominent human rights activists, Veton Surroi. Mr Bajrami sees the role of an editor as a link between the owner and the outlet's editorial staff. Editors should in his opinion also play prominent roles in public. Balazs Weyer, president of the Editors Forum in Hungary, said the media situation in his country is very similar to that of South East Europe. As profitability of the industry decreased, many owners could be easily persuaded to sell their outlets. Before the 2008 financial crisis, outlets were typically owned by institutional investors, but now most are in the hands of individuals with links to the government. Job safety is very low, with editors replaced frequently. 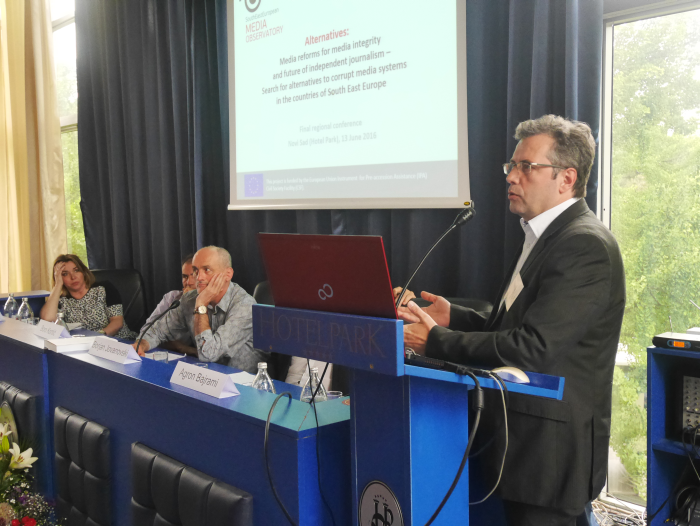 The third panel, chaired by Janos Horvat of the Center for Independent Journalism in Budapest, focused on exchange of perspectives among journalists of different generations with a view to finding models that can ensure the future of journalism of high integrity. Kosovo journalist Nehat Islami recalled the difficulties of reporting from the Middle East in the seventies, for his paper, Rilindija, with very few technical resources at his disposal. 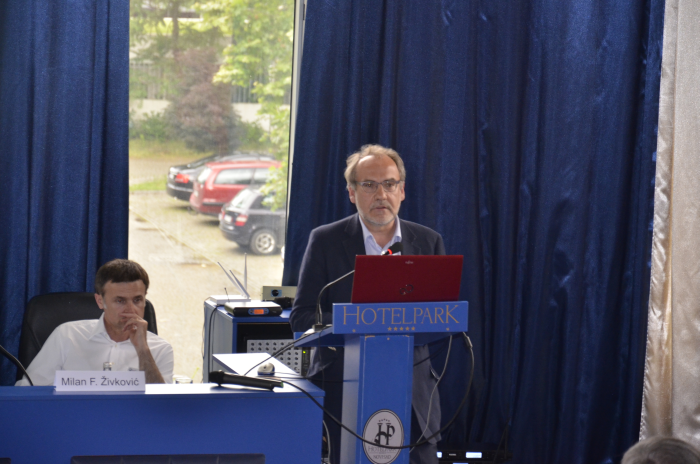 Lenart J. Kučić, a journalist with the Delo daily in Ljubljana, stressed the importance of online interaction with his readers and recalled how his older colleagues found it difficult to give up one-way communication with the audience. Experiment is important for the evolution of the media, so it must be supported, he argued. Mr Kučić runs an experimental podcast service, marsowci.net, which now attracts 3,000 downloads per month. He thinks that much of the fight for freedom of speech in the future will be about how to regulate the Internet giants, such as Google and Facebook, so that they act in a responsible manner. Caelainn Barr, a data journalist with the Guardian, said her team is focused on producing in-depth stories, for which there is still an audience. The challenge is finding the best way to deliver such stories to the right readers and how to monetise the service. In her opinion, no one-size-fits-all approach exists. Journalism student Nikola Maticki, who edits Žurnalist, a student monthly in Novi Sad, said he and his colleagues are still enthusiastic about becoming journalists. In his opinion, the fact that old journalism platforms, such as print, are in decline should not necessarily mean that journalism as such is dying. The fourth panel sought to define the status, composition, powers and capacities that regulators need in order to independently and efficiently regulate the sector. 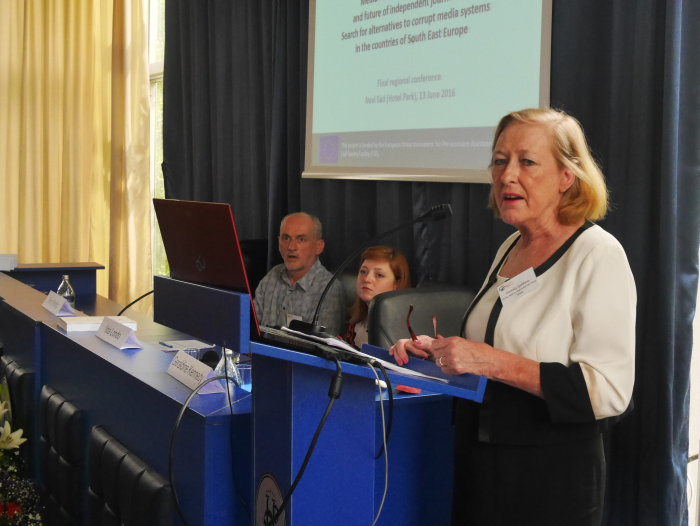 Mirjana Rakić, the head of Croatian Agency for Electronic Media (who submitted her resignation recently), stressed the role of regulators in raising the levels of media literacy. An Internet portal for interaction with viewers and listeners established by the agency has in her opinion played a very positive role. Ms Rakić was very critical of the current Croatian government, highlighting the role of the new minister of culture, who stated he had no interest in the media. The minister, however, abolished the department for non-profit media shortly after coming into office. 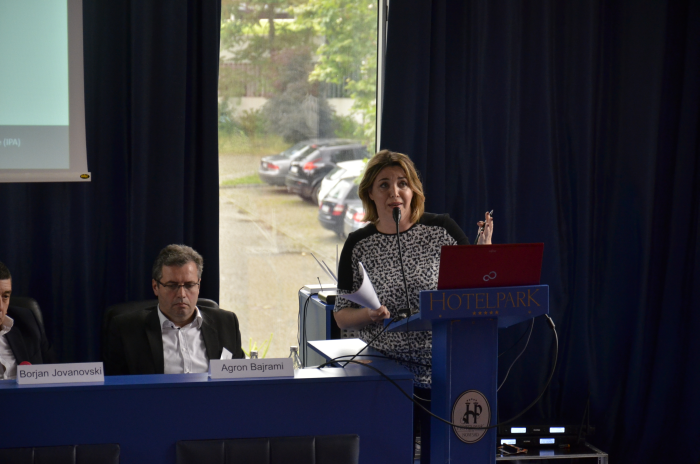 Ms Rakić advocates the adoption of a media strategy for the country. 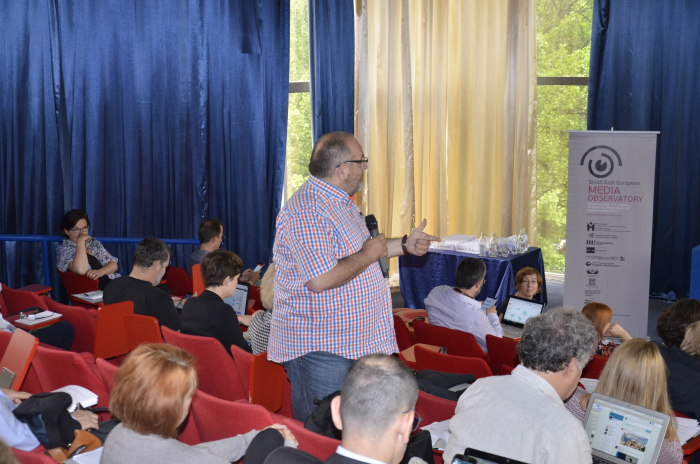 For example, Croatia currently has no clear position on issues such as digital radio and support for community radio and third sector media outlets. 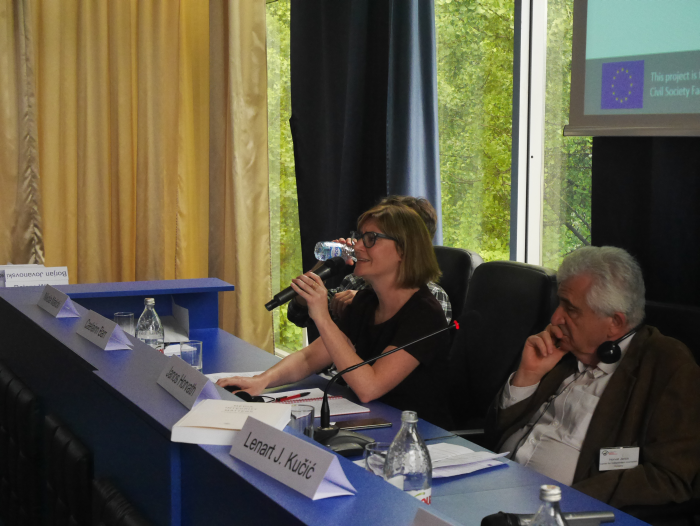 Jadranka Vojvodić, deputy director of the Montenegro's regulator, agreed that a clear media strategy, which Montegero currently lacks, is key for progress of the sector as a whole – otherwise, initiatives are launched and abandoned as political moods and ministers change. While the introduction of an electronic media regulator in the country did raise basic standards, the state lacks full commitment to independent regulation. Helena Mandić, head of broadcasting at Bosnia and Herzegovina’s Communications Regulatory Agency, said the country has relatively good media laws, which, like much else in Bosnia and Herzegovina’s legislative landscape, were not generated inside the society in a process of a natural progression, but were rather imposed by the international community. The introduction of an independent regulator in 1998 was no exception, with local interest groups never coming to terms with its proclaimed independence. 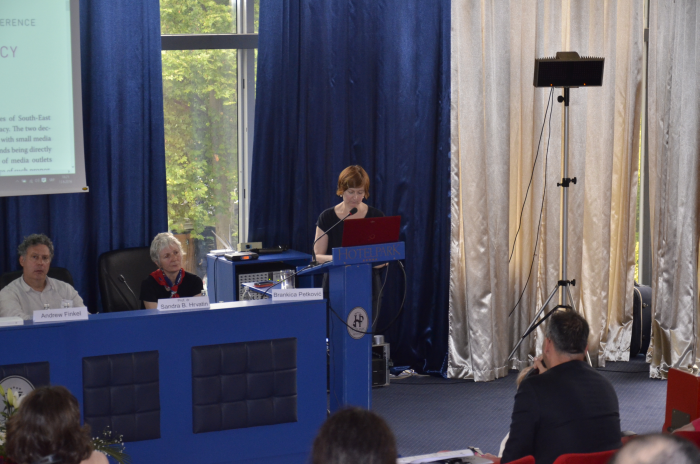 Ms Mandić argued for the establishment of a fund for media pluralism in Bosnia and Herzegovina and a greater effort to advance media literacy in the country, including tasking the regulator as well as education institutions with legal responsibilities in promoting media literacy. The fifth panel focused on alternative models of funding media outlets serving public interest. Milan F. Živković, a former media policy advisor at the Ministry of Culture of Croatia who helped design a number of measures to support alternative media outlets and individual journalists, opined that support from public funds to the media is practiced in many countries, including developed and prosperous democracies. He argued that the level of public service that an outlet provides is often proportional to the level of public funding that the outlet receives. In his opinion, a desirable societal situation would be if journalists serving public interest had a similar position to those of teachers and health workers in public institutions. Rene van Zanten, director of the Dutch Journalism Fund, argued in a written contribution read at the event that constant public discussion on the role of the media is very desirable for maintaining media freedoms. In the Netherlands, even the slightest suggestion of government pressure on the media raises alarms and is then thoroughly scrutinised. Among other things, the fund supports media start-ups and seeks to develop a thorough understanding of different elements that account for their success or failure. Algirdas Lipstas, deputy director of the Program on Independent Journalism at the Open Society Foundations, spoke of three “portfolios” that the program works on, two of which are often directly addressing sustainability issues. The “opening journalism” portfolio supports start-ups seeking to produce serious journalism and deliver it on a number of platforms. Often these initiatives bring journalists together with graphic designers, coders and specialists in related fields. The foundation also provides direct support to journalism under the “investigative journalism” portfolio. Both grapple with the question of how independent media outlets and journalistic projects could be made financially viable. In Mr Lipstas's opinion, for most of them the long-term answer is not in philanthropic support, vital as it may be for many projects as a temporary or emergency measure. As there are no models applicable universally, it is important to innovate and experiment with diverse income streams. Mr Lipstas highlighted a new phenomenon of collaboration among outlets of different profiles and sizes on important investigative stories (the Panama Papers investigation being the most significant example), which help spread the cost and effort of demanding investigations. 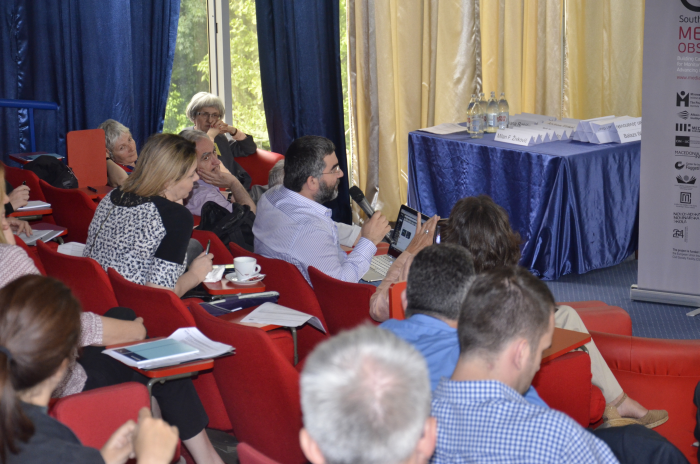 The conference ended with a discussion of a draft manifesto for media integrity in South East Europe, with leading journalists and experts on the panel and in the audience submitting their views. 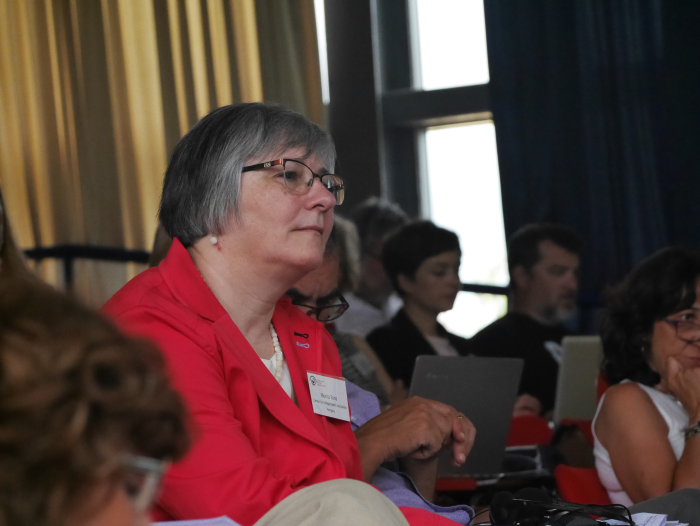 Sandra B. Hrvatin of the Faculty of Humanities, Koper, Slovenia, who also serves as an advisory board member for the SEE Media Observatory project, introduced the draft manifesto, drawing attention to a generation gap that now divides the media sector. In her opinion, young generations are forced to search for alternative models largely because the traditional channels have been blocked by older generations. Contrary to the prevailing perception, the new generations are politically engaged and are finding new ways of setting up and maintaining media outlets, among other things, through crowd-funding. She argued the profession of journalism has hardly changed since the 19th century and blamed journalists for the precarious position in which many of them now find themselves. Ms Hrvatin explained the manifesto’s key demand that public funds be allocated more extensively to journalism operations aimed at serving public interest on the basis that freedom of speech is not a commercial but fundamental right. Andrew Finkel of Platform24, Turkey, and Vladan Mićunović of the Montenegro Media Institute, both noted that the manifesto demands that governments implement measures to promote media freedoms clash with the fact that the governments are the main generators of corruption. Such demands, however, should still be made. Mr Mićunović also suggested that the manifesto should explicitly demand that the governments solved cases of violence and threats against journalists and ensure conditions in which journalists conduct their work unobstructed. 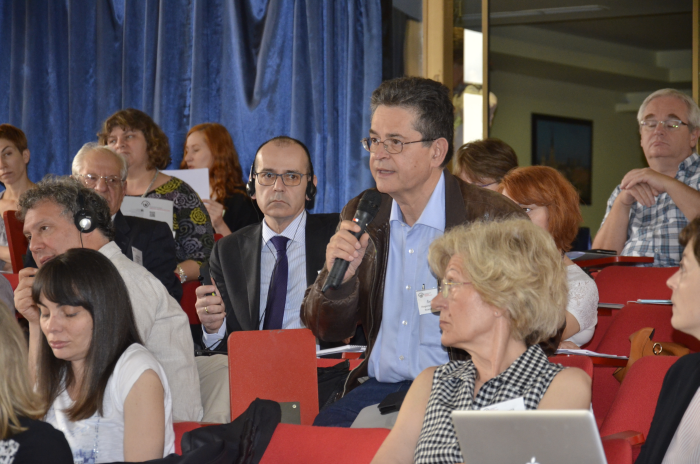 Yannis Kotsifos of the European Federation of Journalists urged that the manifesto be used widely. In his experience, such lists of demands are a good basis for building coalitions around issues and good reference points in interaction with stakeholders. 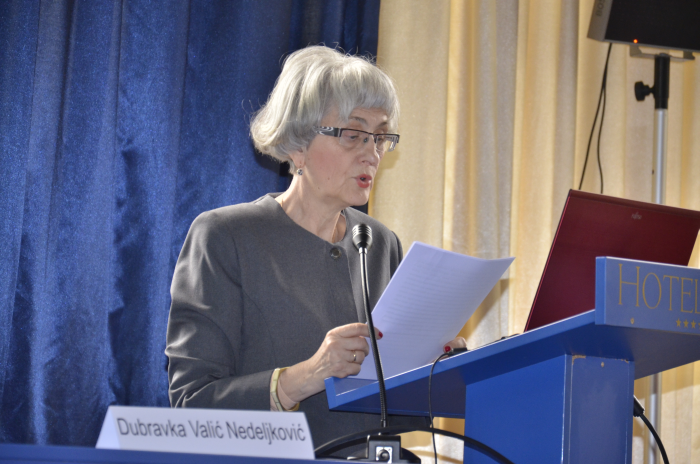 Dubravka Valić Nedeljković suggested that a demand for more support for multilingual media outlets be included in the manifesto. 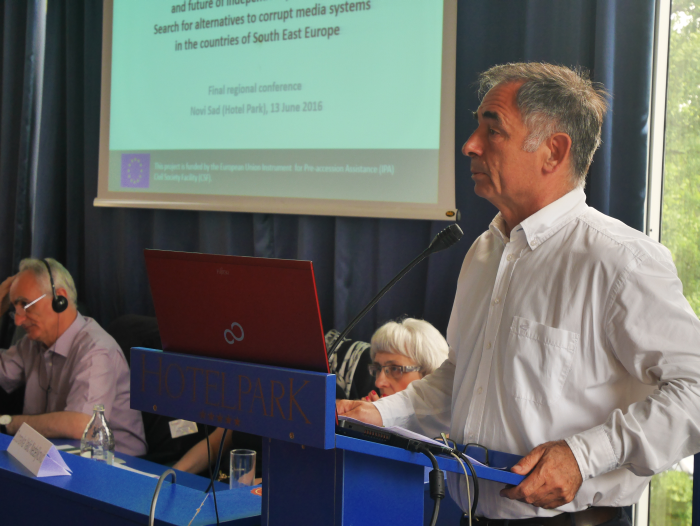 Miroslav Milićević argued that the manifesto should emphasise the importance of the rule of law in general as well as that national legal systems should treat all media outlets as equal. Milan F. Živković pointed out that actors demanding changes in the media sector should be capable of publically articulating and motivating their demands; willing and capable of forming broad coalitions, including with actors beyond the boundaries of the media sector; offer viable alternatives with specific suggestions how they could be introduced; be capable of converting demands for alternatives into a political will that will then gain support at elections and be implemented. Mr Živković reckons that the manifesto as well as the extensive research on which it is based is a good starting point. The draft manifesto will remain open for further suggestions until mid July 2016 and will then be finalised and, in September 2016, submitted to opinion-makers and decision-makers in the countries of the region and on European level. More photos are available at the Facebook page of the SEE Media Observatory, here.